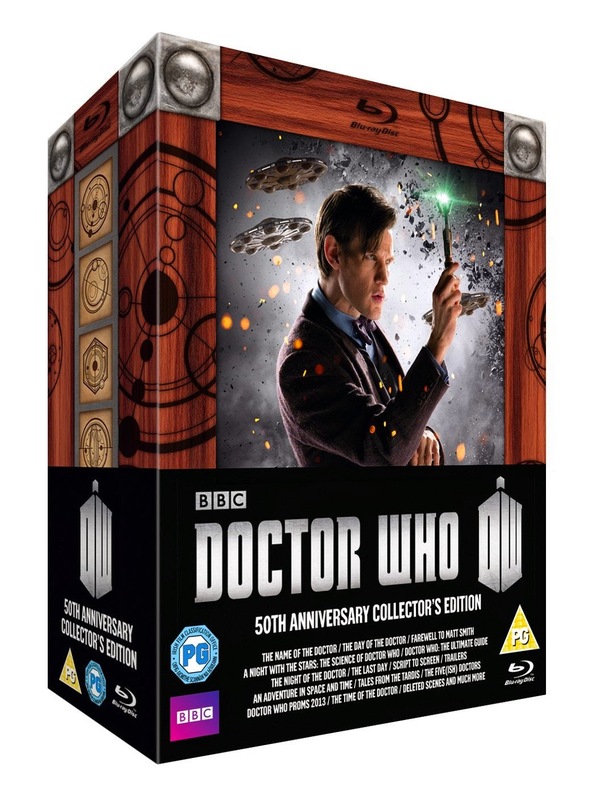 "This limited edition collector's set includes the 50th anniversary special; The Day of the Doctor, Matt Smith's Farewell; The Time of the Doctor, the Series 7 finale; The Name of the Doctor, and the Eighth Doctor's (Paul McGann) surprise regeneration into John Hurt's War Doctor; The Night of the Doctor." 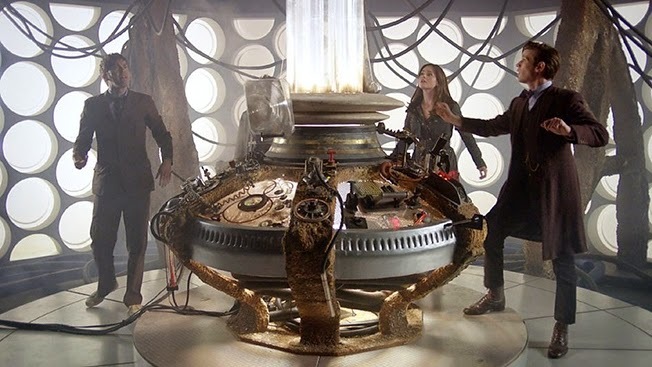 Ever since we heard about the BBFC clearing extra features relating to the 50th Anniversary episode we knew a set was on the way for us, we didn't quite know what to expect and to be honest, I'm slightly let down; I don't know what I was expecting but it certainly wasn't this. Four blu rays, with content spread across each disc; three episodes and a special docudrama sound like it could be simple? Not quite... Each Disc 1-3 has the episodes in order (Name, Day and Time) which leaves Disc 4 to have the docudrama 'An Adventure in Space and Time' but then you question where do the extras squeeze in? With some minor adjustments it seems. 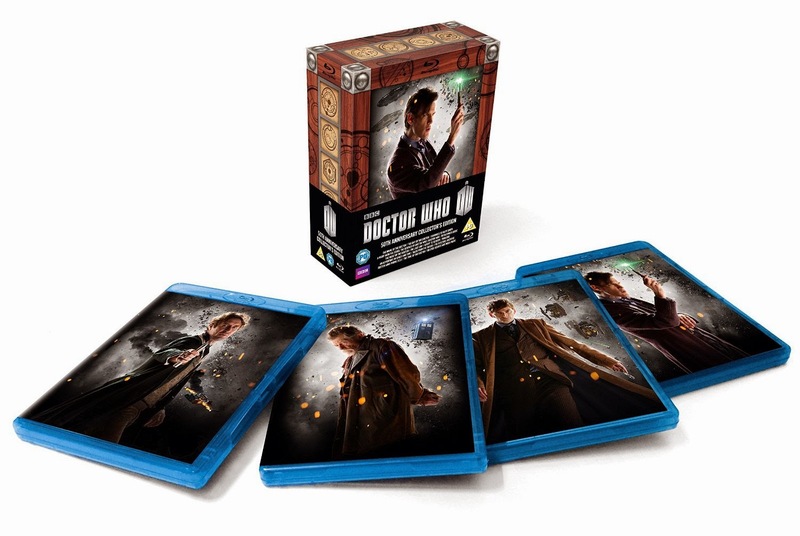 The BBC published the artwork for this box set with '3D Blu ray' labelled on the box, and until its release made no effort to correct this, but when the box set arrived only a 2D version was included, something which has proven to be very disappointing to those who had already sold their vanilla blu-ray copies. This issue doesn't affect the DVD release, the 3D only is compatible with blu-ray discs. Disc 1 is just simple, it features Name of the Doctor as well as behind the scenes footage and the extra 'Night of the Doctor' featuring Paul McGann. The BBC Three show 'The Ultimate Guide' is also included, it's a nice little recap of the last 50 years of Doctor Who but I'm sure there's much better things to have been included. 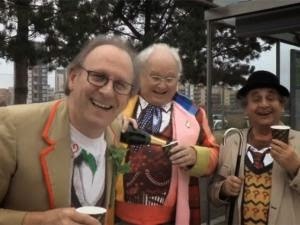 Let's be thankful they didn't include 'Doctor Who Live: The After Party'. Disc 2 is packed with extras though, featuring the 'Behind the Lens' extra currently on the BBC Doctor Who website, the short point-of-view minisode 'The Last Day', script to screen read through documentary and extended cinema introductions from Strax and the Doctor's. Trust me when I say that cinema introduction is worth the purchase alone - There's even more chin jokes. Disc 3 features the Matt Smith's final episode and a handful of extras but they seem to be rather limited, we've been drastically limited on recent DVD and blu ray releases on extras, this isn't an exception. Only one deleted scene, lasting less than 30 seconds and it happens to be the same on that has been released on Youtube for months - great selection there again... We do however have the nice documentary with Brian Cox 'A Night With the Stars'. Disc 4 is a mess, I'm sorry but...it is. It doesn't have the same style, arguably, it shouldn't do but it just doesn't fit well with the rest of them. There is way too many extras in this disc, and yet it is possibly the pinnacle of the box set featuring 'An Adventure in Space and Time' on blu-ray for the first time in the UK and the great extra everyone has been wanting a release for - The Five(ish) Doctors Reboot. The content of these discs are what you would expect. The journey from the Season 7 finale to the Christmas Special makes a logical choice and overall the packaging is a great concept (trying to resemble The Moment from Day of the Doctor) but it's flawed from the beginning; only featuring an opening flap at the top that over time will become torn or broken from continual use. From a collectors set I'd have expected better, it just seems like they've tried to cut costs by cutting corners. This set is worth this money, but don't have any high hopes for excellent presentation. You get what you pay for and at £31.99 (£29.99 on DVD). 7/10. All on blu-ray of course (otherwise I would already have bought An Adventure in Time and Space). So, what can you tell me us about the quality of these extras, are they really blu-ray quality or are they the DVD releases but on a blu-ray disc? "Unfortunately your "review" didn't address the questions I have..."
Unfortunately your "comment" smacks of self-righteous prattery. So this review didn't give you three tidbits of info that you're after? Just Google it and stow the snideness. Good review Combom, I agree with everything, especially regarding the sad lack of extras on these newer sets. Still, we Who fans have it pretty good, all told... we were just spoiled big time with those beautiful box sets during the RTD era.